The 2016 United States Report Card on Physical Activity for Children and Youth shows only 21.6 percent of children ages 6-19 meet U.S. physical activity guidelines. Further, nearly 63 percent of children are exceeding sedentary behavior guidelines, which suggest no more than two hours of screen time per day. 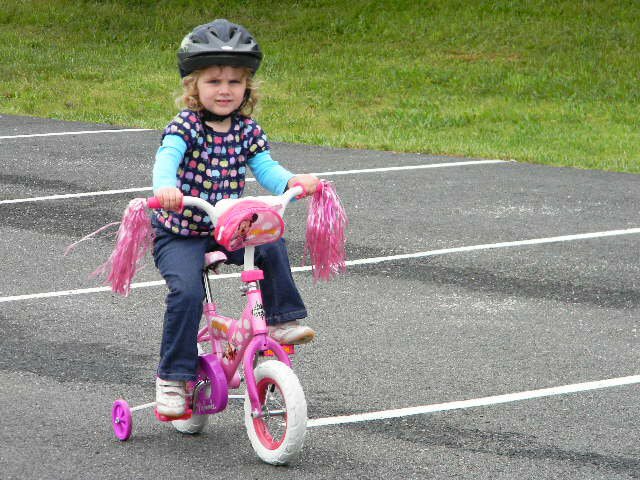 Less than 13 percent of children walk or ride their bike to school, a habit that has been associated with lower odds of obesity among children. The report does show an improvement in the number of youth who are participating on at least one sports team—half of America’s children—since the 1970s but shows a significant gender disparity with more boys participating than girls. “We hope the information in this Report Card will be useful to health professionals, community organizations and policy makers as they strive to respond by developing and implementing strategies that improve access to physical activity opportunities for kids,” said Dr. Peter Katzmarzyk, associate executive director of population science at LSU’s Pennington Biomedical Research Center and committee chair on the report. There is a strong consensus among health professionals that physical activity plays a major role in promoting children’s health. The World Health Organization and the U.S. Department of Health and Human Services recommend that children and youth engage in a minimum of 60 minutes of moderate-to-vigorous physical activity daily, including vigorous-intensity activity at least three days per week. “The results of this new Report Card demonstrate that we have much to do to ensure that our children become active, fit and healthy adults. The National Physical Activity Plan lays out a strategy for increasing the physical activity level of all segments of our population, children and youth included. We call on parents, school personnel and community leaders to review the Plan and make the changes that will enable many more of our young people to meet national physical activity guidelines,” added Dr. Russell Pate, chairman of the National Physical Activity Plan Alliance Board of Directors. Dr. Pate’s convention session will present summaries of three current large-scale, national initiatives that are aimed at increasing physical activity among children and youth in the U.S. The programs have been planned and implemented by national and/or federal entities working in collaboration with an array of not-for-profit health organizations. The projects provide unique information on the status of efforts to increase the physical activity levels of U.S. children and adolescents through activities in school and community settings. Schools should work to increase physical activity opportunities among youth and should be a key part of a national strategy to increase physical activity. Preschool and childcare centers should enhance physical activity. Changes involving the built environment (such as safe outdoor and indoor recreation spaces) and similar sectors are promising, but need additional work. The 2016 U.S. Report Card was released today in conjunction with 37 other countries at the 2016 International Congress on Physical Activity and Public Health in Bangkok, Thailand. This is the second comprehensive assessment of physical activity in U.S. children and youth, updating the first Report Card released in 2014. The U.S. Report Card can be downloaded from the National Physical Activity Plan Alliance website (http://www.physicalactivityplan.org/projects/reportcard.html). Further information about the international release of the Report Card can be obtained from the Active Healthy Kids Global Alliance website (www.activehealthykids.org). The Report Card is produced by the National Physical Activity Plan Alliance’s (NPAP) U.S. Report Card Research Advisory Committee. Find more information about the Plan at www.physicalactivityplan.org/index.html.